We marry many couples here at the bed & breakfast and since I do most of the photography, I get to see all the rings. I love the stories behind the rings. Many have been handed down the generations and cherished by a grand daughter who received it for them to use as their wedding ring. Every shape, cut and color of diamond tells a story about the bride that chooses it. 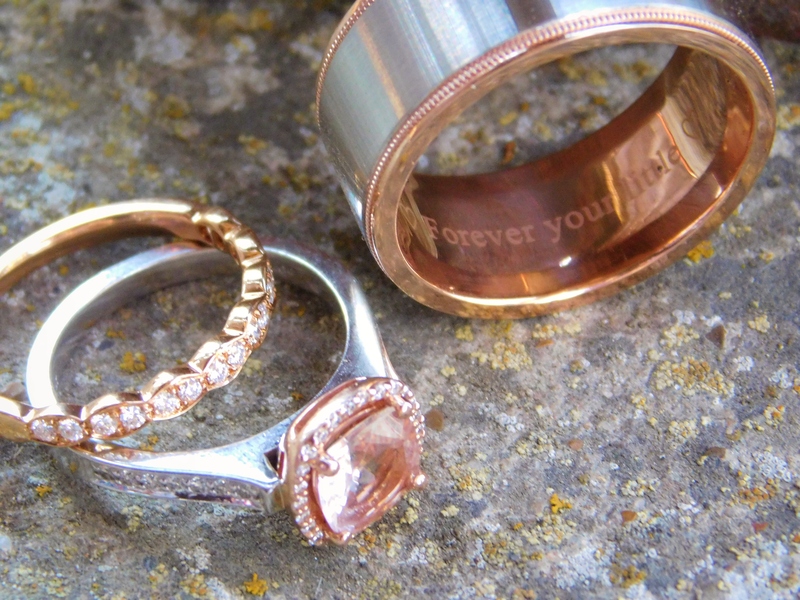 Rose gold is very popular right now, and I think it is just beautiful. Now men’s rings, they are a whole story on their own. From Titanium to the new silicone rings, they have some great choices. Have you always dreamed of a special cut diamond that you would love for your engagement ring? The story of the unending circle that goes with the rings is a very special story and has such meaning for couples to make that dedication and commitment to one another for the rest of their lives. So take your time and find the perfect ring for the both of you. When you have that picked out, why not come stay with us and we can do the perfect ceremony for you from a simple elopement to an intimate wedding. We provide it all in our packages and make the day a very memorable one for the two of you. This entry was posted in Intimate Texas Weddings, Texas Elopements, Texas Weddings and tagged elope in Texas, elopement packages, wedding rings by admin. Bookmark the permalink.